What is Business Dress Code Tutorial? Dress Code has a special significance in society. It is a set of rules and expectations which are laid out to suit different occasions and situations. By looking at the person’s clothing, we can estimate the person’s gender, occupation, income, social class and attitude towards fashion, tradition and comfort. This estimation is provided by the dress code with set of built-in rules. 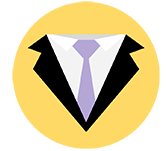 This section is focused on young professionals who are in need of assistance in proper dress code for business meetings as well as formal social occasions. Dressing is considered to be a sensitive topic. Trainees can suggest number of different dressing styles. You are expected to be open to asking questions and resolving any further queries on the topic by contacting us.